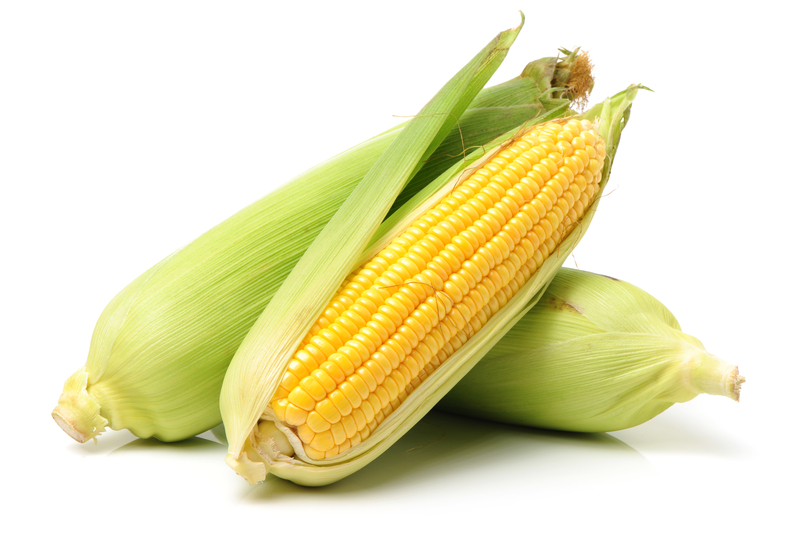 Maize ( Zea mays), also known as corn, belongs to the Poaceae family and it is native to Mexico and Central America. Maize has become a staple food in many parts of the world and also, some of the maize production is used for corn ethanol, animal feed and other maize products, such as corn starch, corn syrup and raw material in industry. Maize is widely cultivated throughout the world (from 58° N latitude in Canada and Russia to 40° S latitude in South America), and a greater weight of maize is produced each year than any other grain. The plant is a tall annual grass with a stout, erect, solid stem. Commercial classifications, based mainly on kernel texture, include dent corn, flint corn, flour corn, sweet corn, and popcorn. Climate: Maize requires a temperature of 25 to 30 ° C, enough incidence of sunlight and in those humid climates its performance is lower. Germination requires temperatures between 15 to 20ºC. It can withstand minimum temperatures up to 8ºC. Soil: It requires deep, rich in organic matter and well drained soils. Maize is very sensitive to root asphyxia and salinity. Maize is a very nutrient demanding crop. 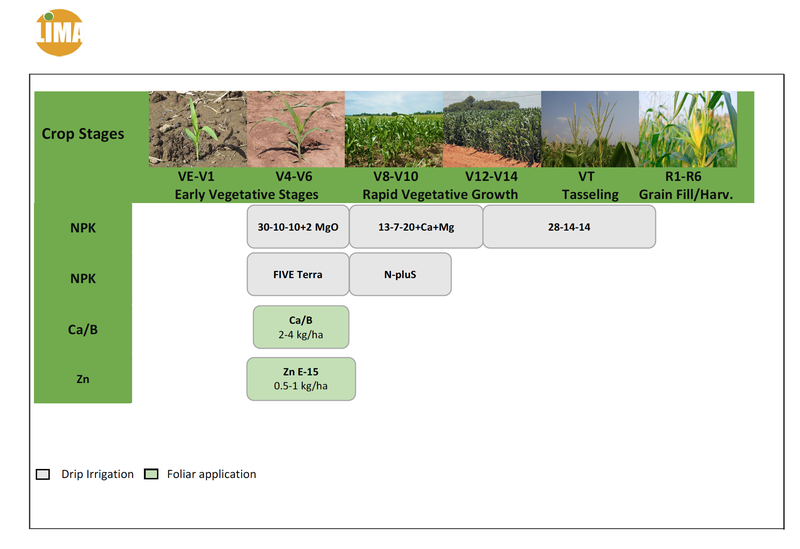 Over half of the required nitrogen (15 days before and after flowering), phosphorous and magnesium, and 80% of potassium, is taken up before the crop reaches the generative growth stages. The key micronutrients taken up in greatest quantities are iron and manganese. These two micronutrients are also those which are lost in greatest quantities when the whole crop or straw is removed from the field. However, boron and zinc, which are the two most important micronutrients needed in relatively large quantities, are removed in greater quantities in the grain. Boron, and Zinc are also applied to the leaf. Lima Europe has a wide range of foliar fertilizers and special products for foliar application. In order to verify the safe rate under local conditions, it is advisable to spray recommended rate on a few plants. After 3-4 days check the tested plants for scorching symptoms.